In his first season in England, Italian manager Antonio Conte is within the touching distance of the biggest prize in the country, the Premier League title. His squad at Chelsea is easily one of the strongest while the starting XI has been one of the most productive in the domestic league this season. A number of players have been in superb form this season but none more than Spanish striker Diego Costa. The former Atletico Madrid man helped Chelsea to the Premier League title in his first season at the Stamford Bridge and his exploits, albeit void in the last few games, are close to giving the Blues yet another title, this time under Conte. He has certainly become a fan favourite at the Bridge, and in a recent exclusive with the Chelsea TV, Costa opened up about a few things. Speaking to the reporter, Costa revealed that Chelsea and Ivory Coast legend Didier Drogba was his idol and went on to explain that he was his example when he was a kid. He went on to explain that Drogba allowed him to settle at the club and that he has to be given a bit of the credit for his returns at the Stamford Bridge. The 28-year old was recently involved in a controversy that saw Antonio Conte drop him out of the first team, but Costa felt that it will not affect his game, and went on to thank the fans for their support. 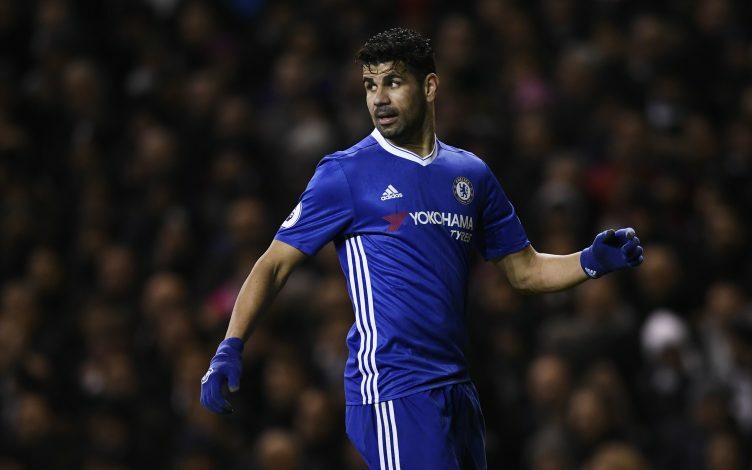 The Spaniard has been involved in a number of tussles in recent times, and has earned himself the name of a bad boy in the Premier League, but Costa brushed the criticism aside and said that his desire to win is what makes him do such things. With 51 goals in 103 appearances, it can be said that Costa is going in the right direction.